"CAK" redirects here. For other uses, see CAK (disambiguation). 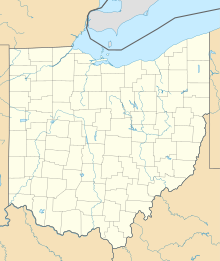 Akron–Canton Airport (IATA: CAK, ICAO: KCAK, FAA LID: CAK) is a commercial airport in the city of Green, in southern Summit County, Ohio (a small piece of each runway is in Stark County), about 14 miles (23 km) southeast of Akron and 10 miles (16 km) northwest of Canton. It is jointly operated by Summit County and Stark County. The airport is a "reliever" airport for Northeast Ohio and markets itself as "A better way to go", emphasizing the ease of travel in comparison to Cleveland Hopkins International Airport. Over 75% of its traffic is general aviation. The 2300-acre (931-hectare) airport has two runways: 1/19 is 7,601 feet long and 5/23 is 8,204 feet long. The airport has a maintenance base for PSA Airlines, a regional carrier that flies under the American Eagle brand for American Airlines. Public funds for construction of the airport were allocated during World War II for defense purposes, but construction stalled over a controversy relating to whether public funding of airport construction would be appropriate. As a result, private funding was essential to the initial construction of the airport, particularly in purchasing the land. The airport was dedicated on October 13, 1946, as the Akron–Canton–Massillon Airport; the name was later changed to Akron–Canton Regional Airport. Passenger air service began in 1948 when American, United, Capital, and Eastern airlines moved from the Akron Fulton International Airport. A permanent terminal was built in 1955 and expanded in 1962. During the mid-2000s, the airport was one of the fastest-growing airports in the Midwest, attracting passengers from the Akron/Canton area and Cleveland metropolitan area. The airport's passenger count doubled between 2000 and 2006, with several new routes added by AirTran Airways and Frontier Airlines. The airport experienced its busiest year in 2012, with 1.83 million passengers flying in or out. Since 2012, passenger traffic has decreased. Following the acquisition of AirTran Airways, then the airport's largest carrier, by Southwest Airlines in 2011, Southwest reduced AirTran's presence at the airport. 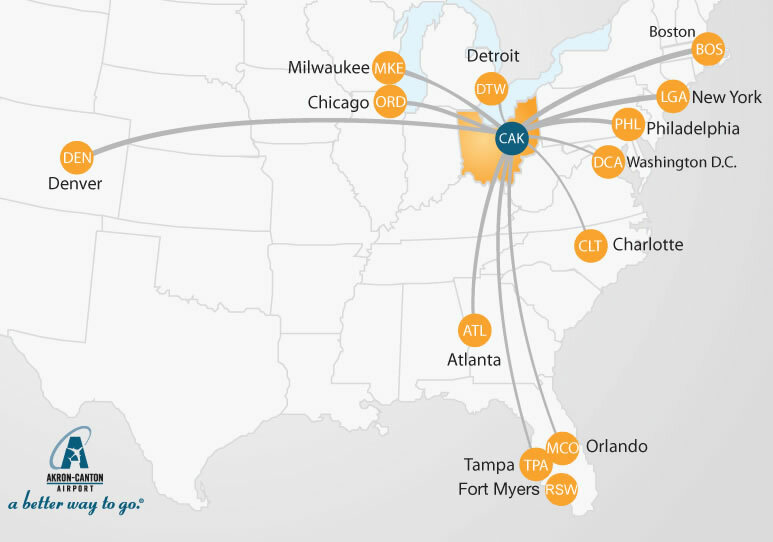 Several other low-cost carriers, including JetBlue, Frontier Airlines, and Spirit Airlines, established new routes from nearby Cleveland Hopkins, lowering average airfares at that airport and reducing demand for Cleveland-based travelers to fly out of further-away Akron. In 2017 Southwest dropped Akron and consolidated operations at Cleveland Hopkins, as did Allegiant Air the same year. By 2017, the airport's passenger traffic sank to its lowest level since 2004. As of May 2018, the airport had the 2nd fastest declining passenger count of any US airport. In 2006 the airport completed an expansion and renovation of the terminal, including the addition of a new wing off the main concourse. It brings the number of gates to 11 (from 9), and provides new baggage areas, a food court, and better aesthetics. The new wing opened to passengers in May 2006 and was home to Southwest. In 2011 the expanded TSA screening area was completed. It has four lanes for screening, with the ability to open two more. Along with the expanded screening area, Advanced Imaging Devices were installed and a TSA Precheck lane was added. The airport initiated CAK 2018, its 10-year, $110 million Capital Improvement Plan in March 2008. The plan is the most ambitious capital improvement plan in Akron–Canton Airport's history and calls for 10 projects in the next 10 years. One of those projects, a runway expansion, has already been completed. Runway 5/23 was extended from 7,600 ft (2,300 m) to 8,200 ft (2,500 m). The runways will allow aircraft to fly non-stop to anywhere in the U.S. and throughout Mexico and Canada. Other projects include expanding aircraft parking and general aviation area, replacing aircraft rescue and firefighting maintenance facility, a new customs and border patrol facility, expand auto parking lots, a widened entrance road, expanded ticket wing, and TSA screening area, expanded upper-level concourse and the construction of Port Green Industrial Park, 213 acres (0.86 km2) will be developed into 10-12 business sites. Akron–Canton Airport has a number of taxicab and shuttle services. It is also served by one route from each of the region's two public transit providers, Akron Metro Regional Transit route 110, and Canton-based Stark Area Regional Transit Authority (SARTA) route 81. The SARTA route provides service every hour for most of the day Monday through Saturday, and serves both Canton and Akron via Interstate 77, including transit centers in both downtown Canton and downtown Akron. The Akron Metro route is a 5 times-per-day Monday through Friday local route through Southern Summit County, but does serve the downtown Akron Transit Center. On November 4, 1949, a Harrington's Inc. DC-3, a cargo flight, crashed at CAK short of runway 36 in light snow and limited visibility, hitting trees and landing inverted east of the runway, killing all 3 occupants. This is the worst crash on airport property in its history. On August 2, 1979, a Cessna Citation 501 piloted by New York Yankees catcher, Thurman Munson stalled and crashed 870 feet (270 m) short of runway 19 killing Munson. The two other people in the plane with him were able to escape the plane just as it caught fire. ^ "Southwest Airlines leaving Akron-Canton Airport in June". www.ohio.com. Retrieved 28 September 2017. ^ "Allegiant Air departing Akron-Canton Airport for Cleveland Hopkins". www.ohio.com. Retrieved 28 September 2017. ^ Michael Sasso; Steve Matthews. "These Are America's Fastest-Growing Airports". Bloomberg.com. Retrieved 4 July 2018. ^ a b "RITA BTS Transtats - CAK". www.transtats.bts.gov. Retrieved February 11, 2019. ^ "81: Canton - Akron Express". sartaonline.com. Retrieved January 26, 2016. ^ "Route Schedule - Akron Metro". akronmetro.org. Retrieved January 26, 2016. ^ Accident description at the Aviation Safety Network. Retrieved on August 5, 2018. ^ Ranter, Harro. "Akron/Canton Regional Airport, OH profile - Aviation Safety Network". aviation-safety.net. Retrieved 6 August 2018. 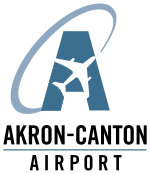 ^ Accident description at the Aviation Safety Network. Retrieved on January 1, 2018. ^ "Yankees' star Munson is killed in plane crash". Toledo Blade. (Ohio). Associated Press. August 3, 1979. p. 1.